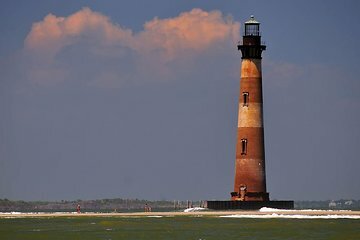 Explore the Charleston waterfront on a stand-up paddleboard with a 2-hour tour to Morris Island Lighthouse, a historic structure that stands guard over the South Carolina coastline. Intermediate and advanced paddlers can brush up their skills as they paddle alongside an experienced instructor and guide. Watch for turtles and dolphins in the water and try to spot the diverse birds that flock to the coast, from blue-winged teal to egrets and geese. Enjoy the challenge of paddling to an iconic landmark, and capture unforgettable images of the low country.